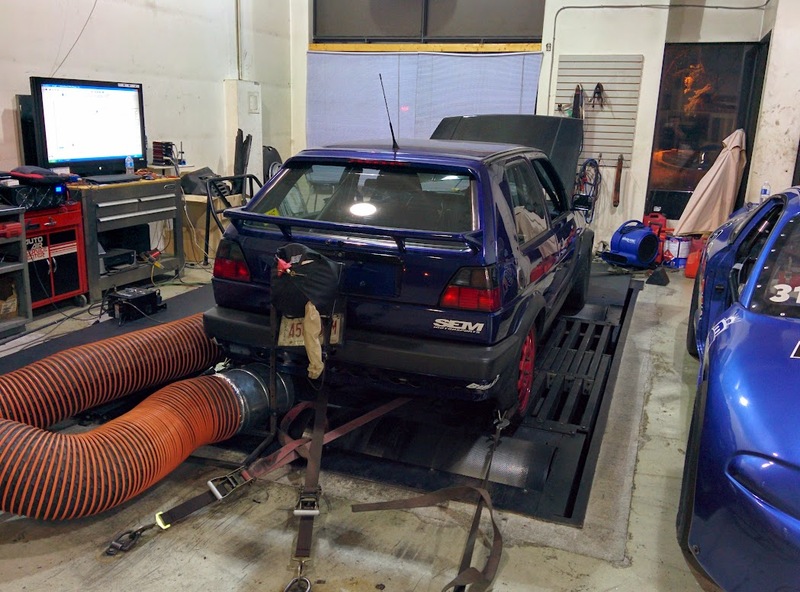 JP Dias – 9 sec Golf steps it up a notch to the 800whp club! If anyone knows how much work, time and money it takes to go fast it would be JP Dias. 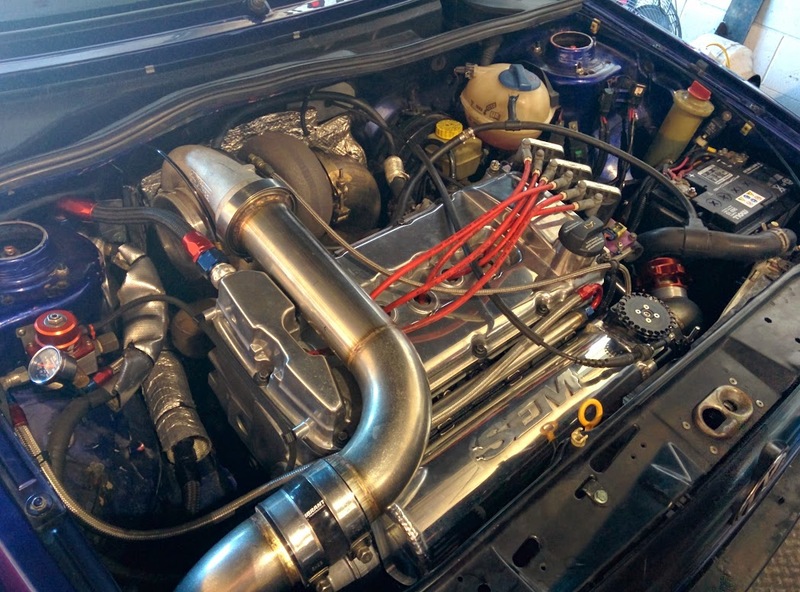 He and his MK2 Golf have been going through a very long evolution together on the never ending quest to go fast. What used to be once his daily driver, then turned weekend racer/street car to what has now been retired be only his fun car/toy. It’s still completely streetable, heck he drives it to the dyno and then back home to this day! Over the past few months JP has been working to get his setup a little more up to date to squeeze some more power out of his already potent setup. We came in to help JP with the engine management and fueling side of things supplying JP’s Golf with a full VEMS Standalone ECU + new custom engine harness and under dash harness for other accessories. We also decided that we were going to move to E85 fuel instead of VP’s Q16 that meant we needed larger injectors, surge tank + fuel pump. Out went the 2x Walbro 255’s and in went a Magnafuel 750 now pulling from an 8L surge tank custom made by Marco @ SEM Motorsports here in Toronto. Of course to supply the motor I opted for the best, a set of ID2000’s from Injector Dynamics. Tony Palo and his team have done an amazing job here, I’m always blown away how well these injectors work and how easy they make it for you with the data they supply. Never has it been so easy to get proper fueling to your motor. 2200+ cc’s per cylinder and the car will idle and cruise @ Lambda 1 all day long without so much as a hiccup! It’s why we only carry ID injectors! Some other changes to the car for this year is JP is now rocking an R32 head on his 2.8L block, with upgraded springs from Supertech. Along with that he’s running a short running billet intake manifold and a huge 90mm throttle body for minimal restrictions. The beautiful tubular exhaust manifold from SEM Motorsports + turbo remain unchanged this year. Aside from engine + electronics, JP also changed up his wheel and tire combo along with an SQS 4 speed drag transmission. On to some pics, because everyone likes pictures right?! Everything coming together now, still some things to change but looks like a motor again! Time to hit the track once again for some more shake down passes! Stay tuned for more! 850+ WHP RSX and pure corn juice street car madness!! Crazy (big-red) E30 is back, and now on corn juice because… Racecar! Classic lines of old school – Karmann Ghia Turbo!